Twill 4 panel construction with soft fleece lining. Three loop straps with adjustable Velcro closure. 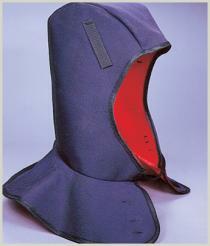 The cape style collar tucks into coats to prevent wind tunneling.